Applying for a credit card from this list, couldn't be easier. Have you ever thought about applying for a credit card? 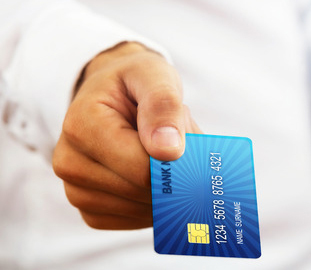 Credit cards are a great way to build your credit rating. You may wonder why you need a good credit rating. Unforeseen expenses can come out of the blue, and there goes your budget. Known as Credit Builder Cards, people with poor or very little credit rating are still eligible to receive cards. Applicants may only qualify for a small credit limit at the start. But by making regular monthly repayments on time, your credit rating will improve. This is an ideal Credit Builder Card and Absa offers consumers credit for up to 57 days with no interest added. Another perk includes FREE email statements. This is a first time card, credit limits are lower but for every R5 you spend, you can earn one point. The points never expire and you can use them for all sorts of rewards. American Express also offer budget facilities with minimum payments of R300 spread across three months to three years. Barclay Card is one of the biggest card companies around. They don’t offer rewards, card holders get 57 days’ free of interest plus a budget option repayable over periods from six months to four years. FNB’s ever-popular eBucks is a great attraction of this card. Consumers enjoy a 3% eBuck return on their card transactions and up to 15% on fuel. There are no transaction fees on purchases and the card allows up to 55 days interest-free credit. Holders of Virgin Money Credit Cards enjoy the benefit of no annual card fees. The only charges imposed by Virgin are for ATM and branch withdrawals, cash and cheque deposits and charges for lost or stolen cards. Therefore, it’s often described as one of the cheapest cards on the market because Virgin offers a variable interest rate linked to the repo rate. It offers two payment options – the Automatic Bill Payments (ABP) and the Automatic Payment Option (APO). The APO gives clients a choice. They can select their payment amounts and the date the APO will be debited from their bank accounts. The ABP options allow clients to pay accounts such as cell phones etc. which means no more standing in queues. Blue Bean cards are designed for people with busy lifestyles. The card has a contactless payment system and is simple and safe to use for purchases under R200. You get self-service banking, allowing clients to control their money wherever they are by means of the internet cell phone banking.You can personalise your card for an additional fee. Applying for a credit card couldn’t be easier, look at the incredible options that are yours for the taking. Always remember to use a credit card responsibly. ← Ever heard of the high net worth club?